Chandra Kumar Bose is the grand-nephew of Netaji Subhash Chandra Bose. He obtained his degree in economics from Hendrix College London in 1982. He worked with the Tata group for 18 years. 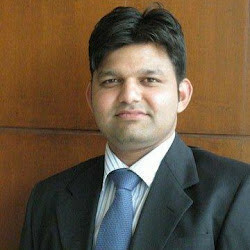 He left the company in 2000 and started his own, Bose Information Technology Pvt. Ltd, which deals in human resource consultancy and skill development. The 55-year old is a part of the forum working for declassification of files on Netaji Subhash Chandra Bose. He is the general secretary of Indian Socialist Democratic Forum which works for human rights awareness in third-world countries. Chandra Kumar Bose joined the BJP in January, 2016. He has been appointed as the party's chief ministerial candidate for the upcoming West Bengal Assembly elections.